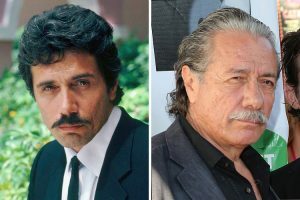 Veteran Actor Edward James Olmos Murdered by His Mustache! 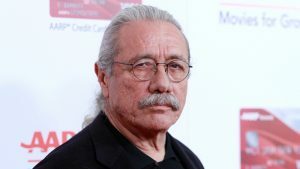 Dour, veteran character actor Edward James Olmos was murdered today in Los Angeles by his live-in mustache. “I saw a very serious, unsmiling, dour-looking man running down the street screaming” said an eyewitness. He kept shouting “Help me. My mustache is killing me! Somebody please call the police!” Someone said “Hey, it’s Edward James Olmos” and I said “Are you sure ” and they were all like “It has to be him. Look how dour he is” and I was all like “Yeah, he is pretty dour at that.” We tried to help but by the time we reached him he had died. I think he was dead. Dude’s so dour it’s hard to tell. Olmos first met his mustache back in the early 1980s at an industry event and the two soon became inseparable. “We always knew when we saw Edward his mustache would be with him” said a producer. They were one of the more stable couples in Hollywood. While other actors were out partying or doing coke we always knew where he would be: Home waxing his mustache. It was a love rarely seen. Especially in this industry. We all liked his mustache. It grounded Edward and made him look less dour. Well, slightly less dour. But lately their had been signs of trouble in his dour, mustache life. “I often heard Edward talk about perhaps growing a beard or maybe some muttonchops” said a friend. His mustache would always get tense when Edward talked like that. I guess the mustache felt slighted. Once I overheard an argument between him and his mustache. It got pretty ugly. His mustache was saying “I’ve been so loyal and I’ve given you so much” and Edward was saying “I’ve grown bored with you. You’re not the mustache I once knew.” I heard weeping and then Edward said “I’m sorry. Please forgive me.” We all knew the two were having problems. I guess it was only a matter of time before an incident like this happened. Some blame the #metoo movement for Olmos’ death. “We feel his mustache became radicalized” said a detective with the LAPD. His mustache felt that Olmos had used it, made it feel cheap and perhaps the mustache wanted to express his displeasure and things got out of hand. You know, perhaps in the heat of the moment the mustache reacted in anger and did something I’m sure it regrets. Look I used to have a mustache and mine was very loyal to me and would never hurt me. This can be the only explanation for the mustache violence. I urge Americans not to judge all mustaches by the actions of one. Mustaches are diverse and this is not the time for stereotypes. Until Edward James Olmos mustache is apprehended the LAPD has placed a 24-hour guard around Tom Selleck. 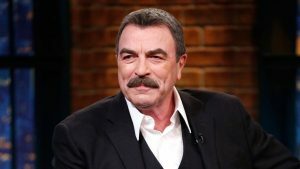 Tom Selleck has gone missing and was last seen with his mustache. He is presumed dead. “I told him to shave it after Olmos was murdered. He wouldn’t listen to me” said his manager. That’s two upper lip terrorists you’ve caught out. Well done, Infidel! Vigilance is necessary to maintain our Democracy.